High school students are invited to be a part of a Tower, a welcoming, inclusive, and fun community. Tower youth meet on a weekly basis for a time of community, fellowship, and faith development. We explore Scripture and theology in ways that are meaningful and relevant. Tower gatherings help each of us grow deeper in our relationship with God and one another. Tower youth share their gifts and experiences through biblically-based discussion, games, and of course food. Students are invited to 10 am worship each Sunday of the year. Join us on Sundays at 5 pm for activities, fellowship, and discussion. Following Tower at 5 pm, students are invited to share dinner together. On the last Sunday of the month Tower meets directly after worship for a service opportunity. 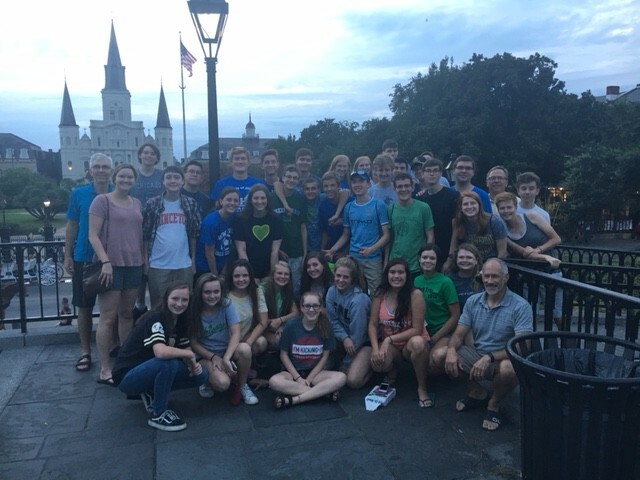 Tower also participates in a week long mission trip during the summer. This annual mission trip is a great way for students to connect, serve, and grow in their faith.